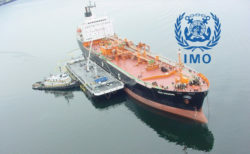 The International Maritime Organization (IMO) is moving forward with a marked reduction in the maximum sulfur content of marine fuel (bunker fuel oil) from 3.5% to 0.5% on January 1, 2020. In the first four articles of our series on this “IMO 2020 Rule,” Stillwater provided an overview of the rule followed by assessments of the rule’s impact from the perspectives of shipowners, refiners, and bunker blenders and suppliers. In this month’s article, we will discuss enforcement of the IMO 2020 Rule. Stillwater expects that no more than 5% of marine vessels will have installed onboard scrubbers by January 1, 2020, when the IMO 2020 Rule takes effect. Stillwater also expects that alternative marine fuels, such as LNG and methanol, will constitute a very small percentage of vessel fuel in 2020. As a result, compliance with the IMO 2020 Rule will cause a dramatic shift in the demand of marine fuels used globally from HSFO to 0.5% sulfur marine fuel. There will be a significant price differential between IMO 2020-compliant 0.5% sulfur marine fuel and HSFO. This strong economic driver will tempt marine vessel operators to utilize much cheaper HSFO on vessels not equipped with onboard scrubbers – deliberately operating out of compliance with IMO 2020 – if they perceive minimal risk of penalty. To keep vessel operators from simply following their economic interests and shirking their duty to comply with IMO 2020, strong enforcement mechanisms will be required. IMO has charged its Pollution Prevention and Response (PPR) sub-committee with taking the point role on this IMO 2020 enforcement issue. PPR is currently working to create and implement these enforcement mechanisms with the goal of creating a level playing field through consistent implementation of the rule for marine fuels consumed on the open oceans. The key to understanding the challenge of creating effective enforcement mechanisms lies in understanding IMO’s own authority and the current levels of authority provided to Flag States and Port States. As a specialized agency of the United Nations, IMO itself has no authority to enforce its 2020 Rule. Port States also have no authority to enforce this rule. All authority to enforce the IMO 2020 Rule currently resides with Flag States. (The second article in our IMO 2020 series identified the top 8 Flag States with global vessels affected by the IMO 2020 Rule.) Between Flag States’ lack of resources for enforcement, questionable commitment to enforcement, and low fine amounts (relative to North America and Northwest Europe), the current approach of depending solely on Flag States for enforcement is widely viewed as inadequate. Estimates of 2020 deliberate non-compliance (i.e. cheating) under current governance and regulations have ranged from 10% of total marine fuel consumption to 30%+. Below is an assessment of where these enforcement options stand. At present, Port States have no enforcement authority for marine fuel oil consumed on open oceans. A Port State can only report what it believes to be a fuel non-compliance issue to the vessel’s Flag State. Port States may gain authority as a result of PPR 5. One element of the draft Guidelines would provide Port States with some level of authority on enforcement if included in the final Guidelines: “Verification issues and control mechanism and actions, including Port State control and in-use fuel oil samples.” The details on providing enforcement authority to Port States need to be worked out, but there is significant promise that Port States will be given enforcement authority not long after the IMO 2020 Rule takes effect. It is believed that failure to comply with the global sulfur cap could potentially allow for a vessel to be deemed “unseaworthy” and so relieve the insurer of liability for any claim. The is a contentious issue, but the IMO 2020 rule falls under MARPOL regulations, and a breach of MARPOL requirements could allow for a vessel’s MARPOL certificate to be withdrawn or suspended by a flag state. This could then result in insurance underwriters denying coverage on the basis that the breach alters the “risk as a whole” of the vessel, regardless of any link with the actual loss that happened. Large companies such as IKEA and Walmart that have clout with shipping firms will not want their reputations negatively impacted by publicity over vessels operating out of compliance with the IMO 2020 Rule while hauling their goods. These firms could bring pressure on shipping firms to use only IMO-compliant fuel. This possibility has been discussed for several months as a measure outside IMO regulation that could help deter non-compliance. This initiative is likely to move forward regardless of the strengthened enforcement that IMO will put in place. In a significant outcome of the PPR 5 meeting, PPR proposed draft amendments to the MARPOL Convention on the prevention of pollution from ships (MARPOL Annex VI). These amendments would “prohibit the carriage of non-compliant fuel oil, such that the sulfur content of any fuel oil used or carried for use on board ships shall not exceed 0.50%.” There would be an exception to these amendments for vessels equipped with stack gas scrubbers. The PPR sub-committee has forwarded the proposed amendments to the Marine Environment Protection Committee (MEPC) for consideration at its April 2018 meeting (MEPC 72). If approved at MEPC 72, the draft amendments could be adopted at MEPC 73 in October 2018 and would then enter into force March 1, 2020 – just two months after the IMO 2020 Rule goes into effect. It is unclear how these draft amendments will be enforced. Port States will very likely have a key role in enforcement. If these amendments are approved by MEPC and IMO, this might significantly reduce pressure for the need to survey the stack emissions of vessels on open oceans. (This need will still exist to ensure vessels with onboard stack gas scrubbers indeed operate those scrubbers full-time while in transit.) If approved by MEPC, this PPR sub-committee action could be instrumental in minimizing future deliberate non-compliance with the IMO 2020 Rule. Whether you’d like to develop a better understanding of the IMO 2020 Rule and initial compliance methodology or you’re interested in collaborating to better define your strategy and tactics, Stillwater Associates is here to help. Contact us. We also invite your questions and comments on this evolving significant issue.